Search Engine Optimization is a constantly changing field, as Google tries to keep its relevance ranking algorithms one step ahead of the SEO professionals (both the "black hat" and "white hat" varieties). Despite this potential for confusion, the foundations of good code never change. This was a fun two-part series that helped demystify this business for me, and hopefully for DIYSEO's readers. 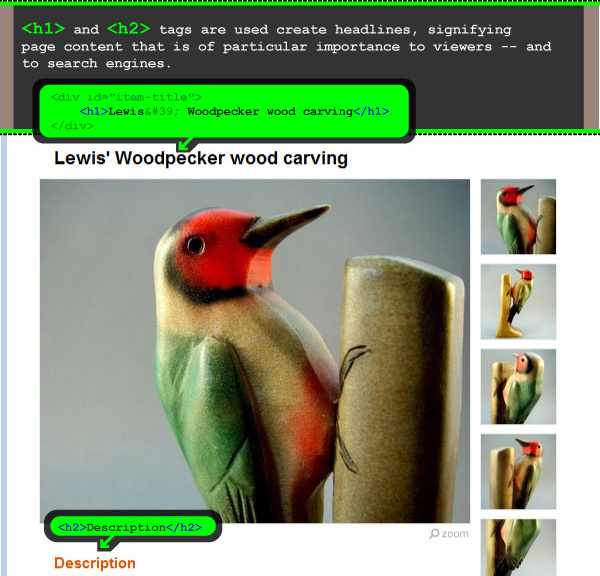 See Part 1: HTML for SEO 101 at DIYSEO.com. 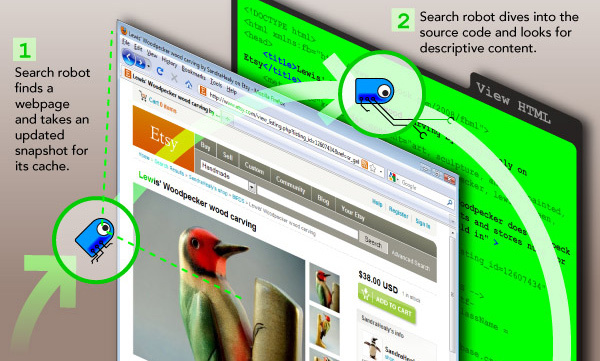 See Part 2: How Search Engines Work at DIYSEO.com. The Etsy page shown is owned by Sandra Healy, a talented wood carver whose work I found pretty much by accident. I've already purchased two of her pieces, and they look just as good in the hand as they do in these photos.